Solitaire Games: Goodsol Newsletter #271 - Happy New Year! Goodsol Newsletter #271 - Happy New Year! Pretty Good Solitaire for Windows has recently updated to version 16.3 with 930 games. It can be downloaded at http://www.goodsol.com/download.html . In addition to Windows 10, the game works in older versions of Windows back to Windows XP. It also works great on Windows 10 tablets that are becoming cheaper and more popular. To copy your statistics from an old Windows install to a new one, you need to copy the entire data folder. The data folder location in Vista/7/8/10 is usually the C:users[Windows User name]AppDataRoamingGoodsolPretty Good Solitaire folder, where [Windows User Name] is your user name for Windows. An easy way to find the data folder in Windows 10 is to type "%appdata%" (without the quotes) in the search the web and Windows box and Windows will take you directly to the Application Data area in File Explorer. Pretty Good Solitaire for Mac is currently at version 3.30 with 700 games. The trial version can be downloaded from http://www.goodsol.com/mac/download.html . If you have purchased, you can download the latest version by going into your current version, go to the Internet menu, select "Download Latest Version". For macOS Sierra, you need to have at least version 3. To copy your statistics from an old Mac install to a new one, just do a Finder search on the old Mac for a folder named "Pretty Good Solitaire". This is the data folder, copy it to the same location on the new Mac. 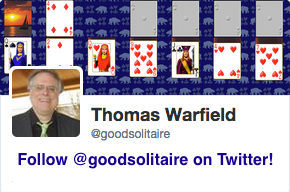 This location is often the Library/Pretty Good Solitaire folder. Pretty Good Solitaire for iPad is in the App Store currently with 600 games. It will be updating soon to 700 games, when the update is available it will be in the updates area of the App Store. With the coming of the new year, the game Anno Domini in Pretty Good Solitaire will change, the foundation base cards in this game change with each year. 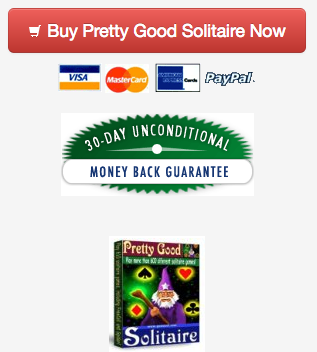 Additional card sets for Pretty Good Solitaire are available for download at http://www.goodsol.com/pgs/cardsets.html . There are holiday card sets and sets for themes like the Tropical Card Set, the Stained Glass Card Set, and so on.